The Sin Of Worshiping The Land Of Israel Instead is Idolatry, as idolizing and worshiping of Jerusalem, Israel and the Jews is evil in the sight of God. Especially since Israel today is a shameful nation that has abandoned the sole God of the Bible, Jesus Christ. It is demonism that are inspiring people to idolize Israel and the Jews. You are now also God, Bible IGNORANT if you do still think that God blesses any Christians who support a wicked, Christ-rejecting people, Nation of Israel. The land of Israel itself and the nation still has nothing to do with our salvation from death and sin.! Jesus alone now died, was buried and rose up three days later for our justification. Defending Israel is NOT even a man’s job. Defending Israel is NOT a function of the New Testament Church. In fact, this may come as a shock to you, but the Bible says that Jerusalem and the Jews will be attacked and defeated, continually as we often hear about it too, until the Lord returns to earth, thus ending “the times of the Gentiles.” Luke 21:24, “And they shall fall by the edge of the sword, and shall be led away captive into all nations: and Jerusalem shall be trodden down of the Gentiles, until the times of the Gentiles be fulfilled.” Israel today is not the fulfillment of any New Testament Biblical prophecy. as well. Only a total jackass, fool would believe otherwise..
Isaiah 62:4…“…for the LORD delighteth in thee…” . The Lord delighteth in those Jews who obey Him. Zionists would have us to believe that God supports all Biological Jews, regardless of how they live, even accepting Christ-rejecters who blaspheme the name of the Lord continually in their hatred for God. Read these Scriptures that Jews won’t quote to you… . It is also hypocritical for Christian Zionists to threaten the wrath of God against those who express disagreement with any policy of the Israeli government when they have done the same thing themselves. The Bible also plainly teaches that God is NO respecter of nations, persons (Romans 2:11). Romans 1:16 proclaims, “For I am not ashamed of the gospel of Christ: for it is the power of God unto salvation to every one that believeth; to the Jew first, and also to the Greek.” . Zionism is based on a total misunderstanding of what the Bible teaches. It is true that God gave Palestine to Hebrews in ancient times. But the Bible teaches that their possession of the land was under a conditional covenant with Jehovah. If the Hebrews disobeyed their God, they would lose the land. This is clearly taught in Genesis 17:9-14, Exodus 19:4-5, Leviticus 26:40-45, Deuteronomy 7:12, Joshua 23:15-16, 1 Kings 9:6-9, 2 Chronicles 7:19-22, Jeremiah 34:12-22, Ezekiel 33:23-29, Matthew 21:43, etc. When the Jews rejected their Messiah, God sent the Romans to dispossess the Jews from their land in 70 AD. 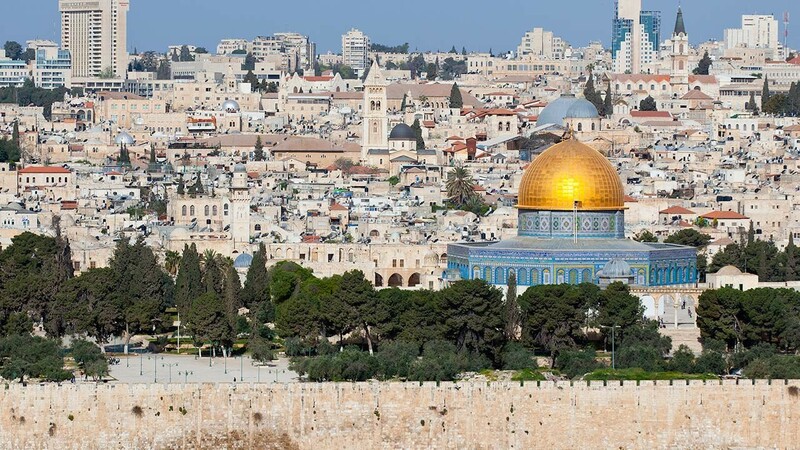 This was God’s complete punishment on the Jews for crucifying Christ – therefore, the Jews today should not be persecuted for something that happened 2000 years ago. However, their former title deed on the land of Palestine is not abrogated. The New Testament teaches that Christians are to focus on the heavenly Jerusalem, not the earthly one, John 4:21, Galatians 4:24-28, Hebrews 12:18-24. We are told in Hebrews 11:13-16 that even Abraham has no further interest in a restored Jewish state on earth, because he is in a much better place in heaven. Do they thank God for restoring their nation after 1,878 years of exile? (the year 1948 A.D. minus 1,978 = A.D. 70, the year Rome destroyed Jerusalem). The Jews were forced into exile. THE BIBLICAL CAUTION AGAINST JUDAISTIC PARTIALITY, AGAINST FAVOURING THE RICH (THE JUDAIZING CHRISTIAN) AND DEPRECIATING THE POOR (THE GENTILE CHRISTIAN) IN THEIR CHURCH-LIFE. CONSISTENT PROOF OF FAITH DEMANDED IN THE WORK OF CHRISTIAN BROTHERLY LOVE AND IN THE ACKNOWLEDGING OF UNITY OF FAITH IN THE FAITH-WORK OF ABRAHAB THE PATRIARCH AND IN THE FAITH-WORK OF RAHAB, THE GENTILE HARLOT. DEAD AND LIVING FAITH . JAMES CHAPTER 2 : 1 MY brethren, have not the faith of our Lord Jesus Christ, the Lord of glory, with respect of persons. For if there come unto your assembly1 a man with a gold ring, in goodly apparel, and there come in also a poor man in vile raiment: And ye have respect to him that weareth the gay clothing, and say unto him, Sit thou here in a good place; and say to the poor, Stand thou there, or sit here under my footstool: Are ye not then partial in yourselves, and are become judges of evil thoughts? Hearken, my beloved brethren, Hath not God chosen the poor of this world, rich in faith, and heirs of the kingdom which he hath promised to them that love him? But ye have despised the poor. Do not rich men oppress you, and draw you before the judgment seats? Do not they blaspheme that worthy name by the which ye are called? If ye fulfil the royal law according to the Scripture, Thou shalt love thy neighbour as thyself, ye do well: But if ye have respect to persons, ye commit sin, and are convinced of the law as transgressors. 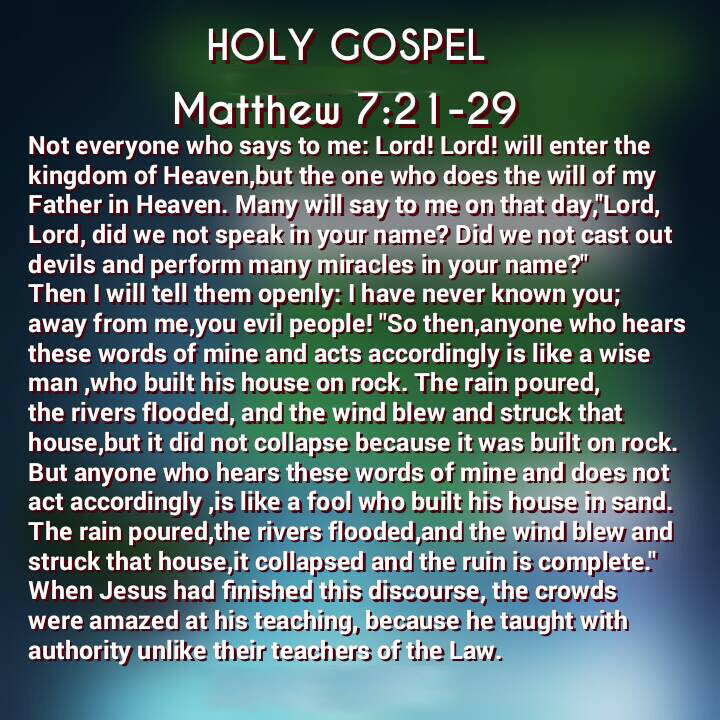 1 For whosoever shall keep the whole law, and yet offend in one point, he is guilty of all. For he that said, Do not commit adultery, said also, Do not kill. Now if thou commit no adultery, yet if thou kill, thou art become a transgressor of the law. So speak ye, and so do, as they that shall be judged by the law of liberty. For he shall have judgment without mercy, that 1 hath shewed no mercy; and13 mercy rejoiceth against judgment. What doth it profit, my brethren, though a man say he hath faith, and have not works? can faith save him? If a brother or sister be naked, and destitute of daily food, 16And one of you say unto them, Depart in peace, be ye warmed and filled; notwithstanding ye give them not those things which are needful to the body; what doth it profit? Even so faith, if it hath not works, is dead, being alone. Yea, a man may say, Thou hast faith, and I have works: shew me thy faith without thy works, and I will shew thee my faith by my works. Thou believest that there is one God; thou doest well: the devils also believe, and tremble. But wilt thou know, O vain man, that faith without works is dead? Was not Abraham our father justified by works, when he offered Isaac his son upon the altar? Seest thou how faith wrought with his works, and by works was faith made perfect? And the Scripture was fulfilled which saith, Abraham believed God, and it was imputed unto him for righteousness: and he was called the Friend of God. Ye see then how that by works a man is justified, and not by faith only. Likewise also was not Rahab the harlot justified by works, when she had received the messengers, and had sent them out another way? For as the body without the spirit is dead, so faith without works is dead also. It is all about Judaism and not about personally hating any people and certainly not about hating the Jews in general. Acts 15:10 Now then, why do you try to test God by putting on the necks of the disciples a yoke that neither we nor our fathers have been able to bear? . And by declaring, “The purpose of the Jewish state is to secure the Jewish future,” Benjamin Netanyahu,’s goal is that waging wars for Israel will make the world safe—NOT for ‘democracy’—BUT for Jews, and for JEWS alone, common characteristic of Jewry’s conduct and the modus operandi of its spokesmen. And “Why is the future of Jews more important than the future of Gentiles?” .